Random House Trade Paperbacks, 9780375760211, 304pp. 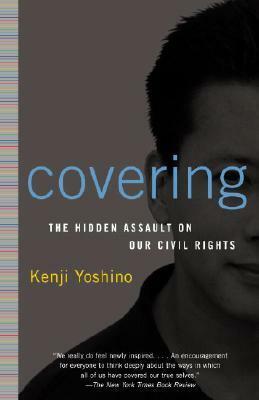 A lyrical memoir that identifies the pressure to conform as a hidden threat to our civil rights, drawing on the author’s life as a gay Asian American man and his career as an acclaimed legal scholar. Kenji Yoshino is the Chief Justice Earl Warren Professor of Constitutional Law at New York University School of Law. A graduate of Yale Law School, where he taught from 1998 to 2008, he is the author of Covering: The Hidden Assault on Our Civil Rights; A Thousand Times More Fair: What Shakespeare’s Plays Teach Us About Justice; and Speak Now: Marriage Equality on Trial. Yoshino’s writing has appeared in The New York Times, The Washington Post, and Los Angeles Times. He lives in New York with his husband and two children.